Spotify has faced a number of accusations regarding violations of copyright in recent years and this week saw one of those looming lawsuits put to bed. On Tuesday, a federal judge approved a $112 million settlement in a class action suit that accused Spotify of failing to adequately pay artists for the use of their music. The Hollywood Reporter first reported the settlement, which marks the conclusion of two separate lawsuits filed by musicians David Lowery of Camper Van Beethoven and Melissa Ferrick that were combined into a class action. The artists agreed to the proposed settlement from Spotify, which will include an immediate cash payout of $43.5 million. Spotify will also commit to paying ongoing royalties to the affected artists. The agreement ends a three-year standoff in which the streaming company faced scrutiny for allegedly infringing upon the copyrights of some artists’ work. According to the suits, Spotify did not pay for the compulsory licenses required to use some artist compositions. The sizable settlement—which was rumored to be $43 million total when first discussed in 2017—seems to have satisfied all parties involved in the suit. “The combination of the immediate and future monetary relief, along with the non-monetary benefits provided, constitutes a significant recovery,” US District Court Judge Alison Nathan wrote in her opinion. She noted that if the artists decided to pursue further litigation, they would not necessarily be able to prove significant damages and may not reap nearly as much in court as they are receiving from the settlement. That’s not to say everyone is thrilled by the result. Wixen Publishing Group—a song licensee that represents Tom Petty, Neil Young, Rivers Cuomo, and Tom Morello among others—objected to the settlement, calling it a “practical free pass on willful infringement” in a court filing. Per Wixen Publishing Group’s math, the settlement is just a fraction of the possible statutory damages suffered by the artists, which could have included penalties of up to $150,000 per work for willful infringement and $30,000 for non-willful infringement. 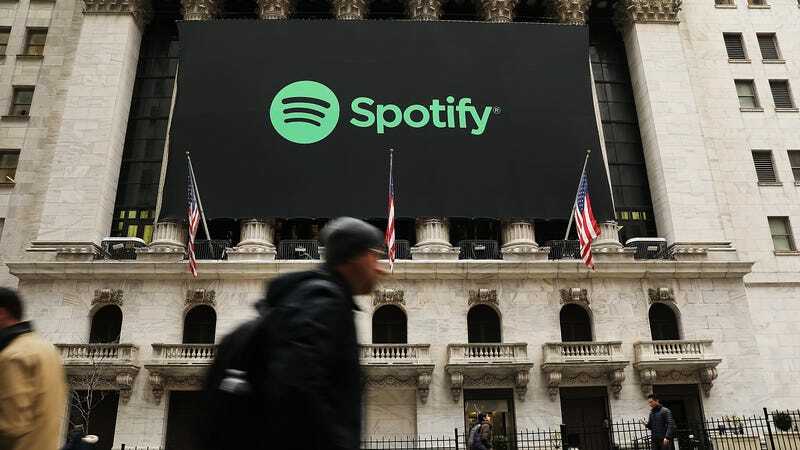 The firm claimed the agreement provided Spotify with a “98.7 percent discount” on non-willful infringement charges and essentially a free pass on cases of willful infringement. “The Settlement Agreement is procedurally and substantively unfair to Settlement Class Members because it prevents meaningful participation by rights holders and offers them an unfair dollar amount in light of Spotify’s ongoing, willful copyright infringement of their works,” representatives from Wixen argued. The judge ultimately dismissed the complaint from the song licensee as it already chose to opt out of the settlement and no longer has any grounds to challenge it. Earlier this year, Wixen Publishing Group filed its own charges against Spotify for copyright violations and will seek damages north of $1.6 billion from the streaming service. The firm isn’t alone in its pursuit of money from Spotify. A number of similar cases have been brought against the streaming service in recent years, including cases filed by Bob Gaudio of Frankie Valli and The Four Seasons and prominent country music publisher Bluewater Music Services Corporation. While these cases drag out in court, there is one looming bit of potential reprieve for Spotify in the form of the Music Modernization Act. The bill is designed to pave the way for improved royalty payments for artists and will also simplify the mechanical licensing system that services like Spotify use to acquire rights to music. The proposed law unanimously passed the House of Representatives earlier this year and has some support in the Senate. Spotify will still likely have to find an agreeable conclusion to the existing copyright cases, but the passage of the bill could prevent it from facing future lawsuits.